Very much enjoyed my time staying in code, great facilities and lovely staff. While I was there it was pancake day and the staff had a free pancake event which was a lovely thing for them to do and it proved a great way to meet and get to know other guests. Amazing experience. Dry clean, located right in the new town and just a walking distance (10/15minutes) to the old town. Breakfast was good and selective. And the free chocolate was extremely nice. It’s a must and if I ever go back, I have a place to go. I really like this hotel. Clean and with good privacy. The staff is very nice and helps me a lot. I will surely come back to Edinburgh, and next time I will choose this hotel again. 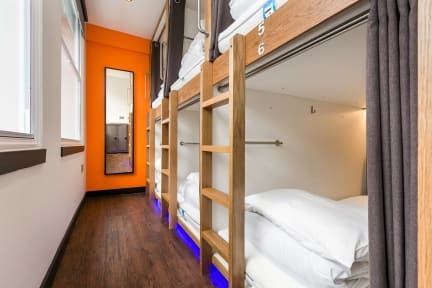 Very safe, relatively affordable hostel that provides quality privacy in case you're ever needing a break from the typical squeaky beds in hostels. Staff is very helpful and interactive with guests. Included breakfast is continental, but has a decent selection of items. Facilities are clean and taken care of daily. Only drawback is lack of laundry services, but the hostel is narrow, so definitely understandable. Overall, an awesome hostel! I'd stay again if I ever find myself in Edinburgh. The beds were super comfy and I loved the pod system, it gives you some much needed privacy. Showers had great pressure (no buttons yay!) and i never had tp wait. Breakfast was great - cereal, toasts, hard boiled eggs, fruit and waffles. The location is great and the staff are really helpful and friendly. I had a fantastic stay, thanks! It's small but have everything I need. Stay 3 nights there and really enjoy. Excellent hostel, cosy and calm. 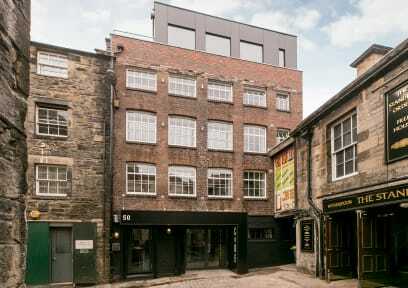 Very well located within Edinburgh. Absolutely nothing to complain about it, it's the best hostel I've been. Perfect cleanliness, very nice staff, delicious breakfast (with waffle machine!). The room was very nice: the beds had curtains, USB, light, hanger and a shelf; and the locker was with password. It's possible to control the temperature in the showers and there's no need to push any buttons. All the main atractions are less than 15 minutes walking distant. Strongly recommend it! The locations is perfect and the staff always willing to help. The lockers available before check-in and after check-out are very useful!